Looking For Furniture Store Lighting Store? 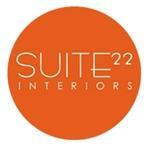 Suite 22 Interiors is an Italian-made furniture retailer located in Markham, ON. Founded in 2006, and family-owned and operated, the furniture company offers furniture products for residential and commercial customers. Products Carried: Suite 22 Interiors sells Italian-made furniture. Located in Markham, ON and serving Toronto and the surrounding area, furniture products can be customized to fit each customer's needs. With approx. 15,000 sq. ft. of showroom space, Suite 22 Interiors offers: Seating, Dining Furniture, Bedroom Furniture, Stools, Sofas, and much more. Products offered are for both the residential and commercial market.